A number of models that I’ve purchased (some from quite a while ago!) that needed to be fixed or enhanced in some way. 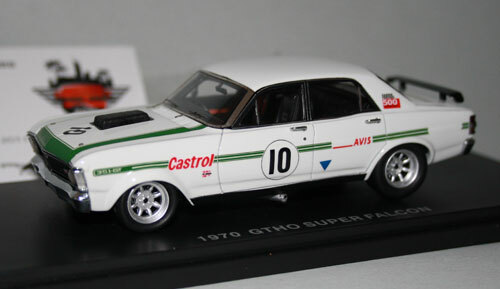 Firstly, the GTHO Super Falcon from Models56/ARMCO. The Big HO Super Falcon as it comes. 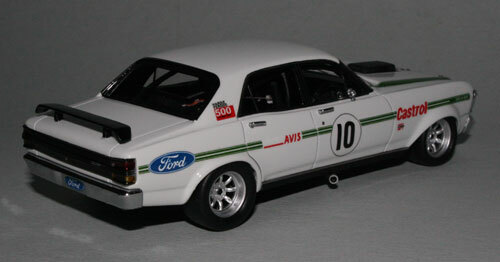 Same model, but now with the Ford decals (which are supplied) that need to be applied by the collector. 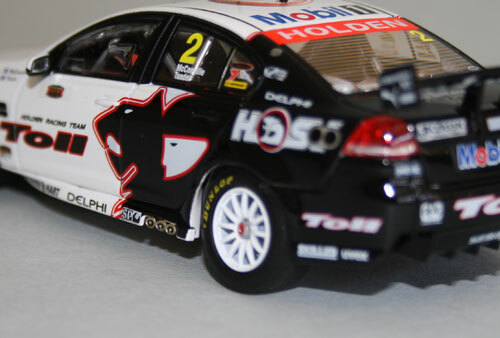 Next is Classic Carlectables’ 2010 HRT VE Commodore of Garth Tander/Cameron McConville in the retro livery ran at Bathurst that year to commemorate 20 years since the livery won on a VL Commodore with Win Percy & Allan Grice in 1990. 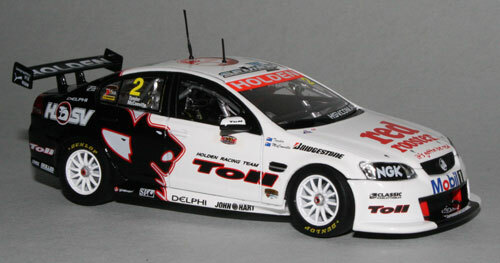 Classic’ 2010 HRT VE Tander/McConville. 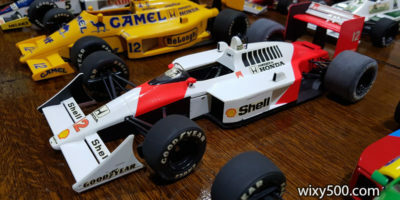 As is not uncommon with Classics, the paint/decals dont cover the full area they should, such as the front tip and underside of the airdam. Some black paint fixed it. 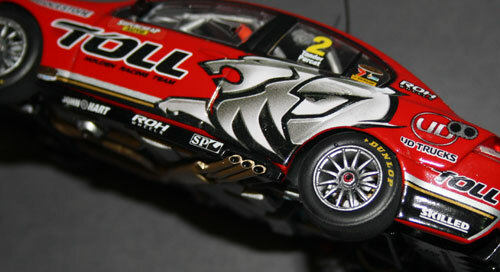 Finally, the 2011 Bathurst Podium Triple Set from Classic Carlectables. 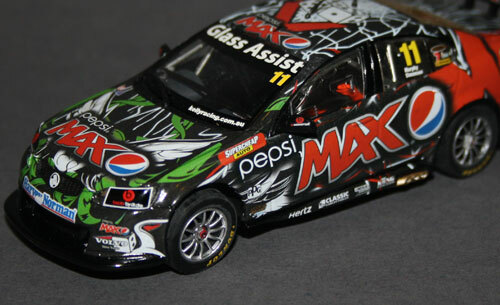 The only reason I bought this was to get the Pepsi MAX car as that particular livery was never released as a standalone offering. 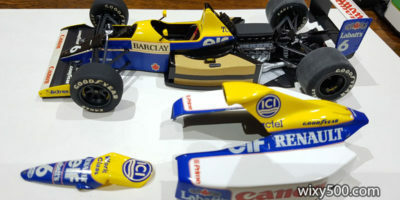 Tragically, the model is now significant because it was co-driven by Allan Simonsen who was killed at Le Mans this year. 2011 Bathurst Triple Set got me the Pepsi car I wanted, plus the Bathurst winner (which could have been purchased separately anyway). 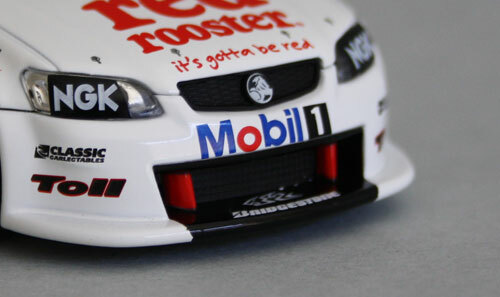 As I already had a Whincup Vodafone car, the 2nd placed Lowndes/Skaife is surplus to the collection (now destined to be Code 3 material??). 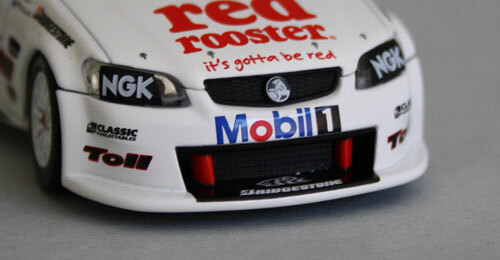 The race winning HRT had the usual paint showing through where it should not, so as with the 2010 VE retro car, some black paint easily fixes this. Man, those Pepsi liveries look messy! These are the two 2011 versions modelled by Classics. 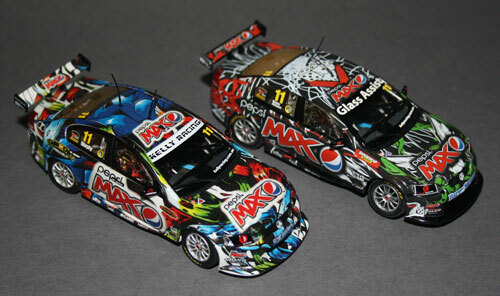 Apex has got a couple of versions coming from the 2012 season.